What an exciting, edge-of-your-seat show. it’s a stylish, next-generation package that makes a lasting impression wherever you go. No wonder it’s the best-selling midsize vehicle for 16 years* in a row. Unleash your inner thrill seeker. Camry’s breathtaking performance indulges your sporty side. With a light, strong body, both handling and ride quality are enhanced. And the lower, wider stance delivers a crisp, responsive feel while offering an optimal driving position. Choose between a 2.5-liter Dynamic Force 4-cylinder or an available 3.5-liter V6 gasoline engine, each of which comes paired to a Direct Shift 8-Speed Automatic Transmission. When coupled with the refined suspension, they help Camry deliver an impressive drive without suppressing your comfort. It’s time to take the long way — and celebrate every moment. Get inside a welcoming space that listens to your needs and speaks to your sense of style. Personalize Camry’s Entune™ 3.0 display with custom background colors, and immerse yourself in the available ambient lighting. It creates the perfect mood for any drive. 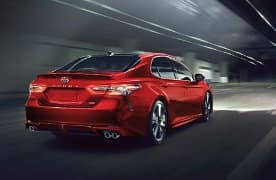 Camry also offers peace of mind with available Safety Connect,® which includes enhanced 24/7 Roadside Assistance and available Service Connect’s remote diagnostics linked directly to your local dealer. Standard turn-by-turn navigation and available embedded Dynamic Navigation help ensure that you’ll get there with ease. And with Amazon Alexa connectivity, you can simply ask to play music, read the news, control your smart home, tell a joke and more — Alexa will respond instantly. 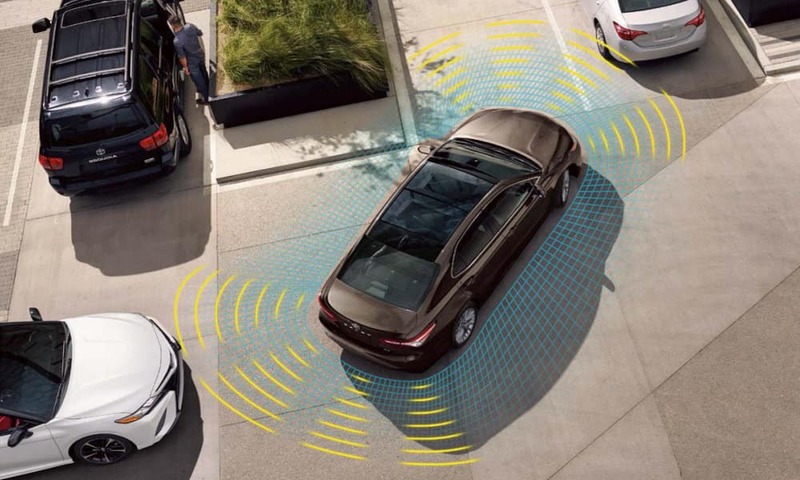 Camry’s standard Toyota Safety Sense™ P (TSS-P) is an active safety package that combines Pre-Collision System with Pedestrian Detection (PCS w/PD), Lane Departure Alert with Steering Assist (LDA w/SA), Automatic High Beams (AHB) and Dynamic Radar Cruise Control (DRCC) to assist you. TSS-P’s comprehensive features create in-the-moment safety designed to help keep you safe under certain circumstances. Out of sight, but never out of mind. Camry is on the lookout with its available Bird’s Eye View Camera with Perimeter Scan. Available Intelligent Clearance Sonar (ICS) helps you navigate around hidden obstacles. 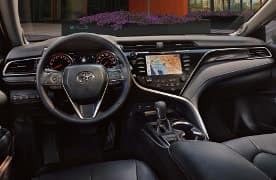 Even if your Camry is out of sight, you can stay connected with available Remote Connect. 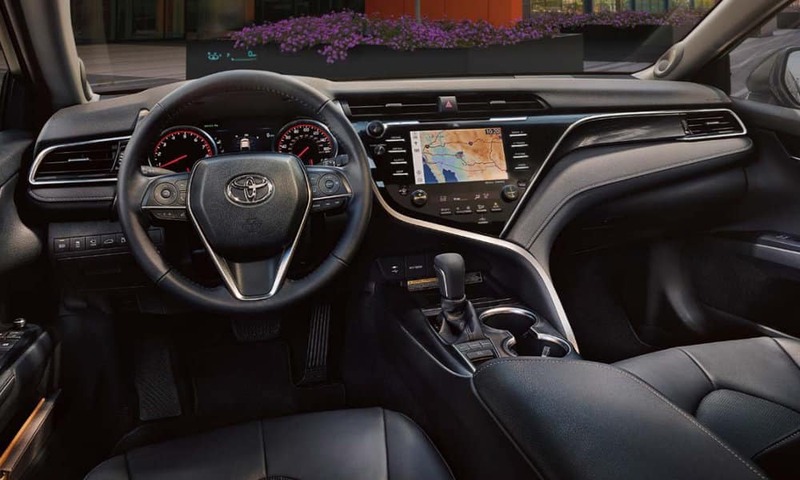 It helps you locate your Camry in a crowded lot, remotely start or stop the engine, and even lets you monitor guest drivers. 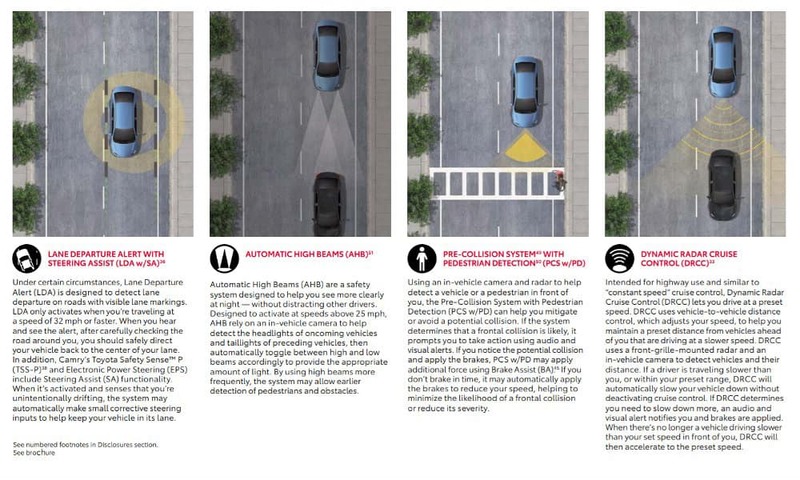 Innovative features like these provide another point of view to help make your drive safe for everyone. 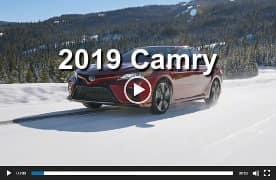 See the Award Winning 2019 Camry Today! Lock In Offer While There’s Still Time. 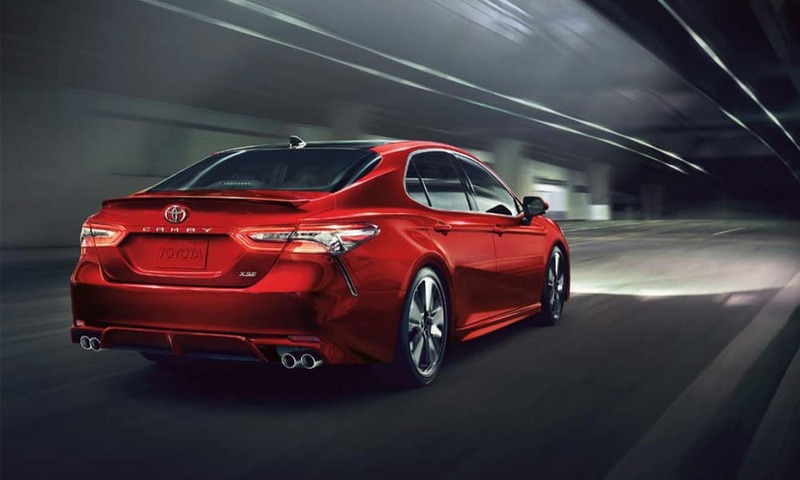 IIHS – Insurance Institute for Highway Safety rating for 2018 Camry, vehicle class Midsize Cars. 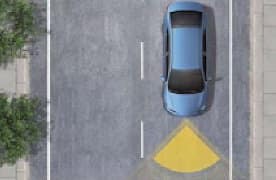 For more details on 2018 Top Safety Pick Awards, see www.iihs.org. 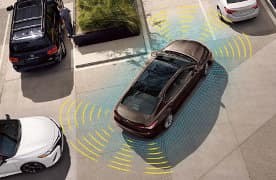 NHTSA – Government 5-Star Safety Ratings are part of the National Highway Traffic Safety Administration’s (NHTSA’s) New Car Assessment Program. (www.safecar.gov). KBB – Vehicle’s projected resale value is specific to the 2018 model year. For more information, visit Kelley Blue Book’s KBB.com. Kelly Blue Book is a registered trademark of Kelley Blue Book Co., Inc.
* Based on manufacturer estimates, CY 2002-2017 sales, includes Camry Solara.